We have just quoted the start and end of the review below, but we hope that these will inspire you to read the whole review, and, of course, the book itself. 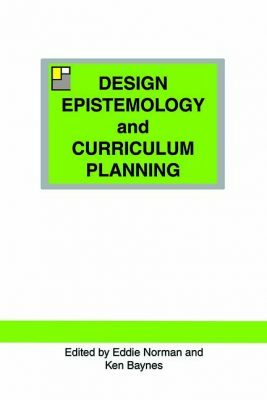 This fascinating book sets out to explore design epistemology in the context of curriculum planning and is a response to the Expert Panel which considered the future of Design and Technology (D&T) in the English National Curriculum. Ever since Aristotle proposed his intellectual virtues of epistêmê, technê and phronêsis, the concept of epistemology in education has invoked substantial philosophical debate. Much discourse pertains to the validity of knowledge types such as ‘knowing that’ and ‘knowing how’ (Hetherington, 2011; Stanley & Williamson, 2001) with further debate focussing on the role of knowledge in education relative to what are often described as transferable or 21st century skills or competencies. Part 1, the introduction to this book, eloquently frames design epistemology as “what designers know and how they know it” (p.6) and although not yet well understood relative to other ways of knowing, positions designerly ways of knowing as a critical construct in contemporary education. Overall, this book was very enjoyable to read. I read most of the chapters more than once and I envision that I will regularly refer to many of them in future discussions on knowledge in design education. The book will certainly provoke thought in terms of design epistemology. On one hand there is a clear need for the ill-defined nature of design in education and it is difficult to conceive of how this isn’t a unanimously shared point of view. On the other hand, you can appreciate the difficulty that would exist in appraising the subject due to its insufficient “disciplinary coherence”. This is a clear issue which needs to be addressed in some form, but reflecting on the discussion of the tacit nature of designerly knowledge it is clear this will ultimately look different to that of other subjects. Upon finishing the book I suspect most readers (at least those with an interest in D&T education) will be eager to engage in the seminars proposed in its concluding discussion. The book is available as a paperback, or as a ‘print replica’ ebook from Amazon and the paperback is also available from other book stores (eg Waterstones) and online book sellers (eg BOOKS etc).